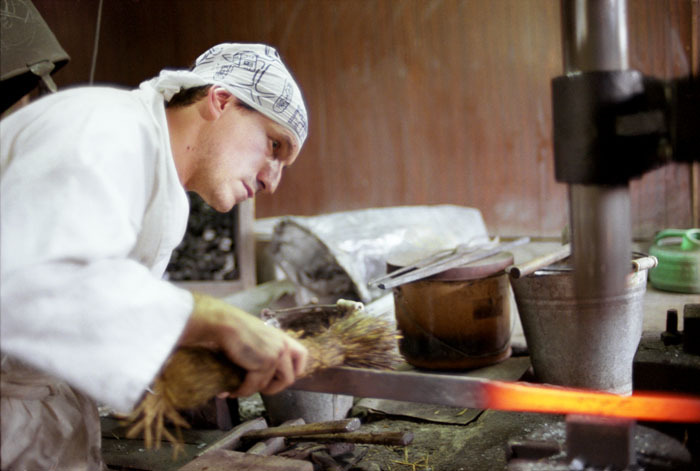 Each year, the Nihon Bijutsu Token Hozon Kyokai (NBTHK – Society for the Preservation of the Japanese Art Sword) organizes competitions for the different fields of craftsmanship related to the Japanese Sword. 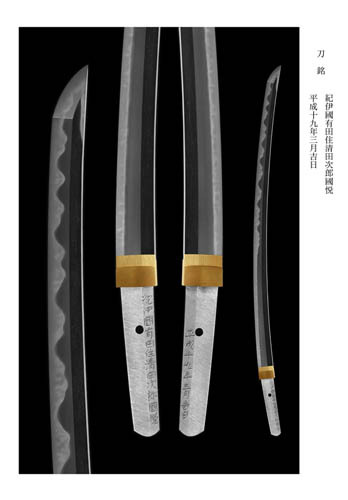 Kiyota has submitted a sword almost every year since he became independent in 2000. 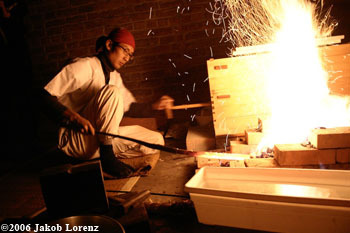 His competition swords have always reflected his focus of research on the group of Bizen smiths who used the Sukesada ?? name with an emphasis on the end of the Muromachi period, or late 16th century. 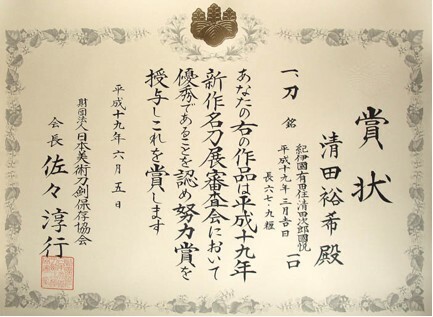 The competition allows those who qualify to either obtain a Special Prize, such as the NBTHK chairman award, or be classified in one of three categories, Yushu-sho (Outstanding Performance Award), Doryoku-sho (Effort Endeavour Award), and Nyu-sen (“chosen”), which basically offers a ranking of all remaining smiths whose works were accepted. A swordsmith who receives one of the Special Prizes ten times will be raised to Mukansa level, meaning without supervision. This will forbid him to participate in future competitions, and rather be asked to act as a judge and to dilligently pursue research. In 2004 he entered the Doryoku-sho category for the first time, and repeated this exploit for the second time this year. The certificate is presented below, along with a scan of the winning sword by Masahiko Miyata. 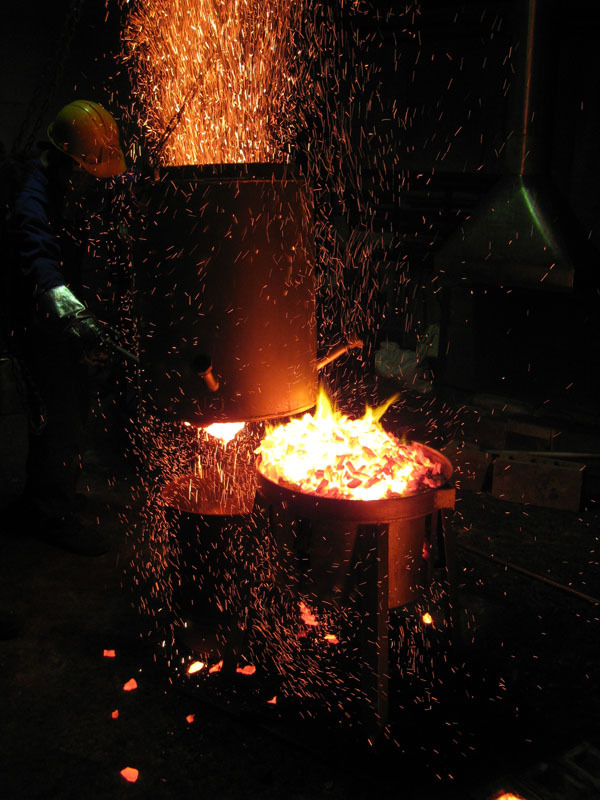 Posted in Uncategorized.Tagged forge de sabre, japanese sword, katana, Kiyota Jirokunietsu, sabre japonais, The Making of Japanese Swords.